Apple sent out official invitations today to next week’s media event, confirming earlier rumors of an October 4th iPhone 5 launch. As previously reported, the event is to be held at Apple’s Town Hall auditorium in Cupertino, California with a scheduled kick-off time of 10 AM PST. 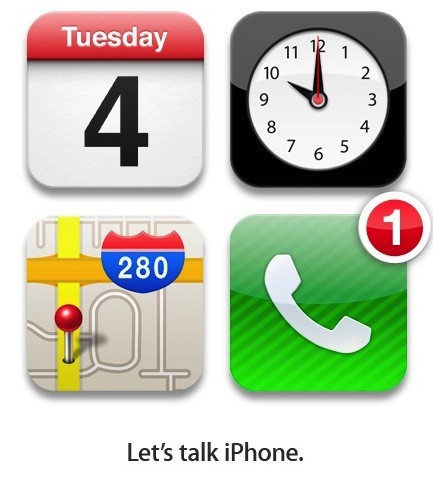 The invitations carry the tagline “Let’s Talk iPhone” and feature the well-known iOS app icons for calendar, clock, maps and phone. It’s unclear at this stage exactly what will be announced, but Apple are widely expected to launch the iPhone 5 and iPhone 4S at the event.